There are many reports of ghosts in Yorkshire with the city of York being a particularly haunted place. With its Medieval, Viking and Roman history plus moors, cliffs and dales, haunted Yorkshire is a ghost hunters dream area. Ghost stories abound in the county of Yorkshire with tales of bricked-up nuns in Whitby abbey, the ghost of a hanged man in the Busby Stoop Inn near Thirsk and endless sightings of ghosts of highwaymen, children, beasts and many more throughout the county of Yorkshire. 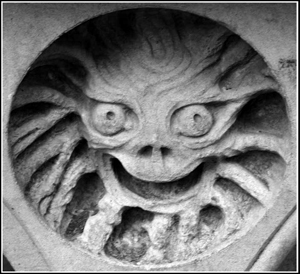 York itself has ghosts of Roman soldiers up to more modern apparitions in streets, churches, pubs, towers and on bridges. For ghost tours in haunted Yorkshire contact us. THE RIPON SPA BATHS - In 1904 a pump room was unveiled by Princess Henry of Battenberg, supplying the people of Ripon with sulphur water in the form of an art nouveau spa that is now amongst other things used as a swimming baths. Whilst locking up at night present day staff have experienced sudden feelings of coldness whilst hearing footsteps in various areas of the building, doors slamming by themselves and dryers turn on by themselves. A 1752 mansion-styled house built for the sheriff of York & former servants quarters dateing back to the 1500s. It has a history of gruesome stories of deceit, suicide & murder that will give you the chills & an abundance of paranormal activity to go with it. Sleepless nights have been caused by a baby’s cry at night & fearful sightings of a lady, young boy & various dark figures. Objects have been moved & furniture has been found ripped to shreds when left in an empty rooms.